Currently, Professor in Strategic Management Area at IMI. I teach Strategic Management, Business Ethics & CSR. 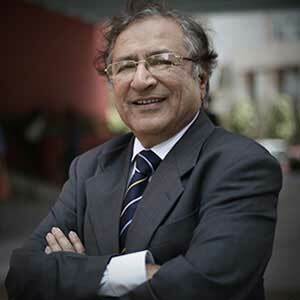 In addition, I am Chairperson of Executive PGDM Programmes. I am involved in few consultancy assignments in the area of CSR as well as MDP programmes (both in-company and open programmes) as Programme Director and taking sessions in different areas for corporate executives. Professor in Strategic Management Area at Management Development Institute, Gurgaon. Have taken several core-courses on “Strategic Management” for PGDM and Executive PGDM Programmes. Have also been taking elective courses on “Corporate Governance” and “CSR”. In addition, I was also Chairman, MDP Programmes for In-Company (PSUs & Govt. Sector) during 2009-11 at MDI. During this period, I was Programme Director for 9 MDP programmes for various companies in public and private sectors. Also directed two Open-MDP programmes and undertook a few consultancy assignments. NTPC, a Public Sector Enterprise, is India’s biggest power utility with 30% market share having 21 power stations at various locations in India. Power Management Institute – NTPC’s dedicated training and development institution. Appellate Authority of NTPC Ltd. under the RTI Act. Utility Power Tech Ltd. – a Joint Venture between country’s two major power utilities – NTPC and Reliance Energy Ltd.
NTPC Hydro Ltd. – in the business of developing micro and mini hydro electric projects. Bharti Enterprises, a leading private sector enterprise, is India’s Largest Telecom Service provider (Airtel) ranked among India’s top 5 largest companies. Bharti Telesoft Ltd. – in software development business. Joined NTPC as Manager (Industrial Engg.) in 1981 when NTPC was in its early stages of development. Got involved in the initial phase of organization building and over the years rose to the position of General Manager (HR). As General Manager (HR) in the corporate centre, drove HR strategies for the 22,000 strong workforce located in different parts of the country. During the stint of 14 years, headed various functions like Industrial Engineering, Manpower Planning, Recruitment and Selection, Employee Benefits, Training and Development, HRD, etc. HMT was a leading public sector enterprise in the manufacturing sector-well known for its products namely watches, tractors, machine tools, etc. in the seventies. Headed the Industrial Engineering, EDP, Production Planning and Control as well as Training & Development functions of HMT’s Watch Factory at Srinagar. As Secretary of its UNIT BOARD was involved in strategy formulation for growth of this factory. Started my professional career with ECIL, Hyderabad as Technical Officer/ Management Executive in 1972. Was In-charge of Hardware Planning and Marketing Planning sections of the Computer Division, which was involved in manufacturing state-of-the-art computers.